Whether you are going away on holiday or just having a long day at work, we understand that your pets still need you. We also know that prior engagements can get in the way. This service takes away the stress that you may have from trying to squeeze it all in. 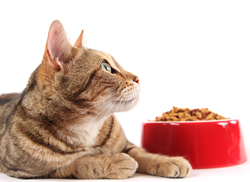 Cat Feeding Service: Pets are happiest when there are within familiar sights, tastes and smells. It can be quite distressing removing them from their common surroundings and expecting them to settle down while you are away. We feed your pets at home so that they do not have to go through the confusion of long journeys, or stays at unfamiliar homes. We recommend for cat feeding a once or twice daily visit for food, water, cleaning of food bowls and changing of the litter tray, not forgetting that all important affection they may be missing. Small Animal Feeding: from fish, birds, hamsters, guinea pigs, rabbits the list goes on! If they need feeding we can do it, just ask. Talk to us to find out how it works. Holiday services offered: plants watered, lights on and off, curtains opened and closed, bins put out on appropriate days, mail collection etc. 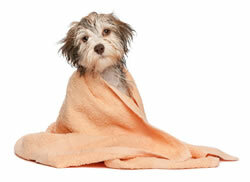 "Mr Maloonigans will think twice about rolling in puddles, but thank heavens for 4Paws bath & brush out!"